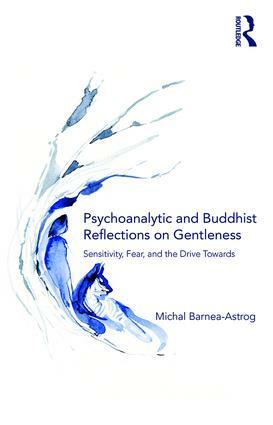 Inspired by Buddhist teachings and psychoanalytic thought, this book explores gentleness as a way of being and a developmental achievement. It offers reflections on the unique position of "gentle people", as well as certain gentle layers of the psyche in general, as they meet the world. Examining the perceptual-sensory-conscious discrepancy that often exists between a gentle person and their surroundings, it follows the intricate relationship between sensitivity and fear, the need for self-holding, and the possibility of letting go. Incorporating theoretical investigation, clinical vignettes, and personal contemplation, the book looks into those states of mind and qualities of attention that may compose a favorable environment, internal and interpersonal, where gentleness can be delicately held. There, it is suggested, gentleness may gradually shed the fragility, confusion, and destructiveness that often get entangled with it, and serve as a valuable recourse. Offering a unique perspective on a topic rarely discussed, the book has broad appeal for both students and practitioners of psychoanalysis and psychotherapy, as well as Buddhist practitioners and scholars.